2017 sees us ringing in our 10th year of business with a new look logo. We hope you love it as much as we do. They say a change is as good as a break so we’ve gone for a re-brand because we’ve have no intention of taking the break. With walking holidays on the Camino de Santiago growing ever more popular there’s no rest for the best. It rings true that we are in business the last 10 years for a reason. Our service is often copied but never equalled. We are very aware that a pilgrimage is something more than a holiday so we take great pride in helping you walk the journey of your lifetime knowing that you’ll take those fond memories of your Camino with you forever meaning you’ll hold us dear in your hearts also. Taking inspiration from The Wizard of Oz we bring you the Yellow Brick Road in our new logo. Just like The Emerald City of Oz; Santiago de Compostela is a magical place where one goes to find the answers to ones own questions and just like Dorothy, the Lion, the Tinman and Scarecrow you may take the pilgrimage to find something deep in your heart, gain the courage to make a change in your life or indeed clear out your brain of clutter to have a clear trail of thought again. To celebrate our 10th year as top Camino specialists we are giving away a prize every month this year. Keep your eyes on our newsletters each month for your chance to win. This allows you to walk or cycle lightly with a day-pack only (bottle of water, rain gear, maps and phone), and enjoy the view without the pain. Our accommodation is selected based on a number of criteria, including location, comfort, services, price and character. We always try to book accommodation that is both on or near the Camino and also close to the historical quarter or centre of the town/city. In case of emergency, we will give you access to a phone number that you can use 24/7 while on your walking holiday. And we are always available. Avoid complications and spend more time on the Camino with our airport transfers. No need to run to the bus stop, change buses, have the correct currency and no time wasted waiting for a slow coach or a delayed train. We organise your airport and private transfers from where you arrive to wherever your starting point is. You will be greeted at the airport arrival terminal by a friendly and dedicated driver and you will be driven to your starting point. 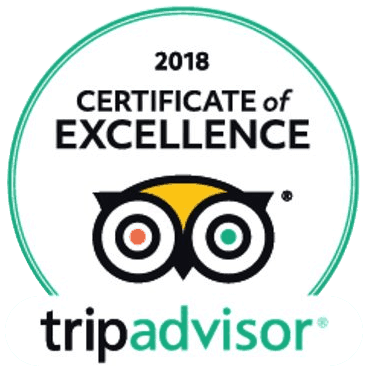 Our Mission is to excel in the delivery of our services of Camino-related tours and packages through innovation, knowledge of the field and outstanding customer service. Our vision is to become the #1 Tour Operator and service provider in the world along the Camino de Santiago. Your satisfaction is our priority: Your comfort is of the utmost importance to us; we carefully select the best accommodation, the most delicious meals and plan to help you get the most from your holiday.